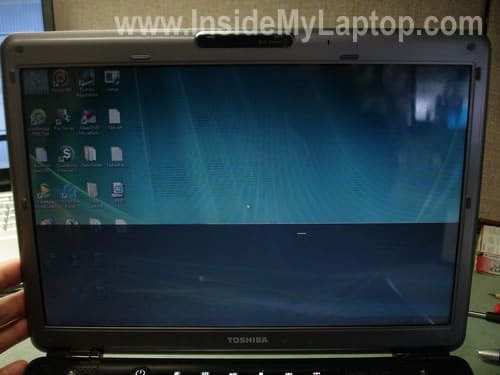 I have seen a few Toshiba Satellite M305 and M305D laptops with exactly the same display problem. When you move the display panel, the image on the screen flickers, some random horizontal lines appear in random places or the image disappears at all. As soon as you stop moving the display, the image ether turns back to normal or the display continue to remain black. Lately I’ve been seeing exactly the same problem with the power socket in some newer Toshiba Satellite L305/L305D and Satellite L355/L355D laptops. I don’t know if it’s a poor design or people just not careful enough with their computers, but the power socket in these models breaks very often. On the picture below you can see a good working power socket. The power jack is seated correctly. It’s tight and will not move when you plug in the adapter. On the next picture you see a broken socket. There is a gap between the power jack and bottom case and when you plug the AC adapter inside the jack it feels very loose. 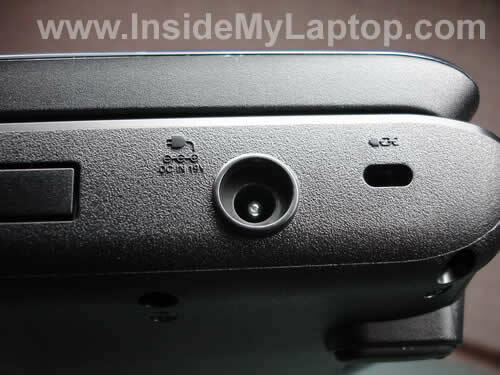 In some cases, the power jack separates from the case and you cannot plug in the power adapter at all. 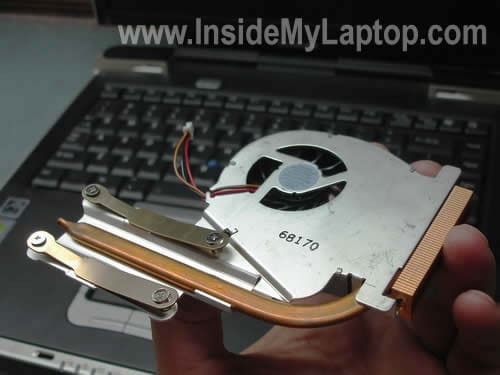 In this guide I explain how to upgrade RAM (memory) in a Toshiba Satellite A45 laptop. 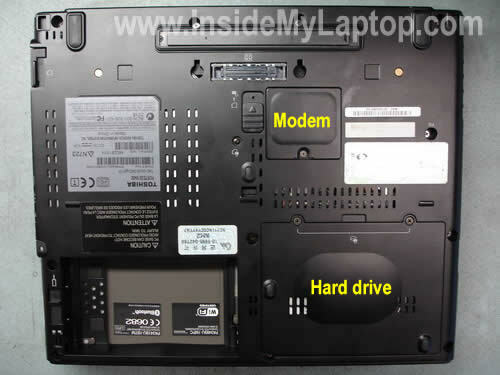 If you search for memory slots on the bottom of the laptop, you will not find any because both slots are hidden under the keyboard. In order to access both RAM slots you’ll have to remove the keyboard. Don’t worry, it will take about 5 minutes even for inexperienced users. 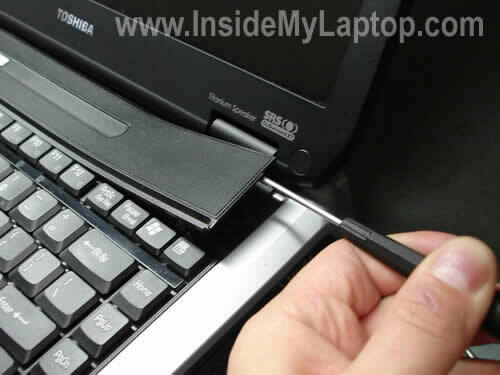 Insert a small flat head screwdriver under the keyboard bezel and lift it up.